As a company in the South Hill, WA area offering a certified arborist, Hunter Tree Service helps you enjoy a beautiful and abundant landscape. Working with an arborist on a regular basis ensures the trees on your property will be healthy. 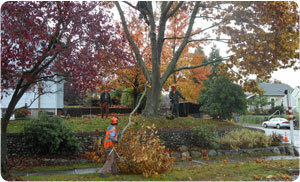 We have been in the tree care business since 1986 and provide certified arborists in the South Hill area. The overall health of your trees is imperative to maintaining your property value and minimizing the risk of future property damage as a result of improper tree care. We pride ourselves on understanding this and excelling in customer service. Why choose us? There is so much more to tree care than the average homeowner understands. The trees on your property are an investment that directly affects your property value. Trees that are not properly pruned, trimmed, or maintained can cause a reduction in the value of your property. A certified arborist is your first line of defense for any diseased, overgrown, or unsafe tree on your property. Our professional arborist will focus on the safety and health of trees. To work with a certified arborist in the South Hill region, give us a call. A certified arborist provides quality tree care service. Join the list of our customers who are very glad they gave us a call. 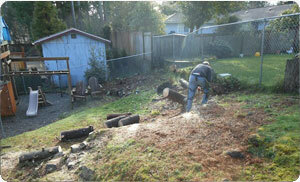 Professional tree care service in the South Hill region becomes easy with our professionals. A tree that is beyond repair requires the services of a professional arborist. 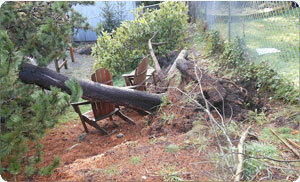 Weather or an unforeseen accident can lead to an emergency that requires an arborist. An arborist can assist in performing emergency tree care in a safe manner while reducing further risk of damage to property. Give us a call if you find a tree on your property that needs immediate attention. When you need a certified arborist in the South Hill region, call Hunter's Tree Services at (253) 777-1938.